The new Valencia boss will be taking charge of his first game in front of his supporters after defeating Sporting at El Molinón in his debut last week. Three current FC Barcelona players could face their former club: Jérémy Mathieu, André Gomes and Paco Alcácer. For Barça, Mathieu has one win and a draw against Valencia while the other two have yet to face their old friends. Jordi Alba, who also came from Valencia, will not be available after picking up an injury against Manchester City in midweek. On the opposing side, there are two Valencia men who know Barça very well, and they are Martín Montoya and Munir El Haddadi. The right-back played against Barça for Betis last season while the striker, currently at the Mestalla on loan, has a chance to prove a point against the club that owns his rights. The recent history between the two teams is favourable for FC Barcelona. The Catalans have not lost at Mestalla since 17 February 2007 (2-1) and have since gone on a run of four wins and five draws. Luis Enrique has a solid record against Valencia as a manager. In his time at Celta and Barça, he has racked up four wins, two draws and two defeats in eight games – the only league defeat coming while he coached Celta. Valencia have not gotten off to a great start at home, winning just one of their first four games. which came against Alavés, and losing to Las Palmas, Betis and Atlético. The most recent meeting between the new Valencia boss and Barça was back in the 2008 pre-season when Pep Guardiola’s side beat Fiorentina, 3-1, thanks to goals from Carles Puyol, Jeffren and Bojan. In 2002, as Parma boss, Prandelli also suffered defeat in a tournament played in Amsterdam by a 4-2 scoreline. 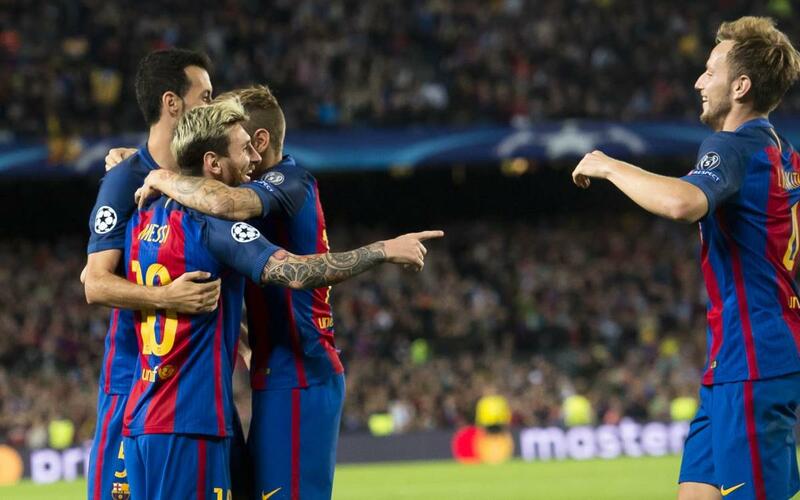 Barça’s away record so far this season is convincing, with five wins out of six games. There are four Barça men among the league’s top ten leading goal scorers so far this season: Luis Suárez (6), Messi (5), Rafinha and Neymar Jr (4). Prandelli’s side have let in 15 goals in their first eight games, the sixth worst record in the league. Barça have conceded ten but have managed to score 26 at the other end.